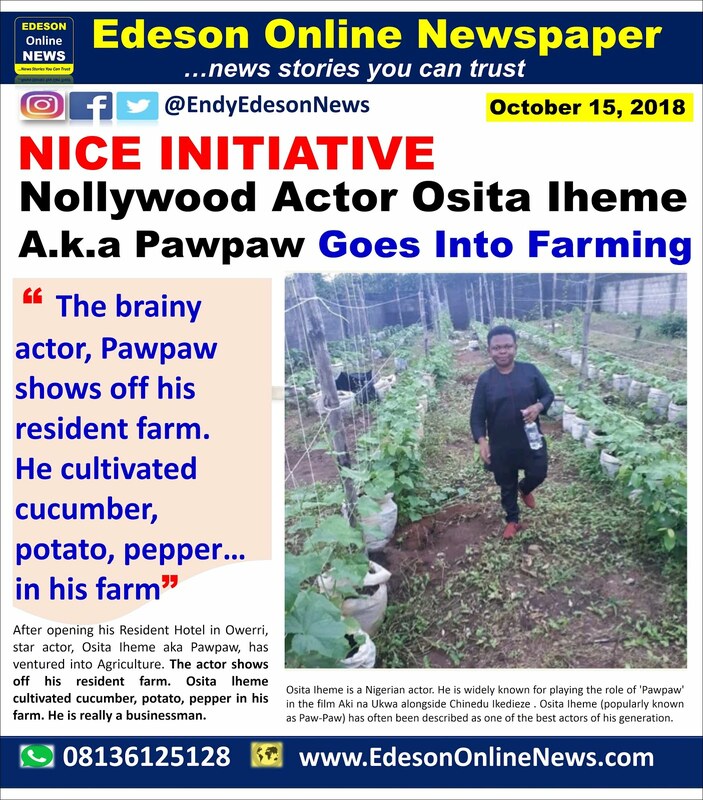 After opening his Resident Hotel in Owerri, star actor, Osita Iheme aka Pawpaw, has ventured into Agriculture. The actor shows off his Resident farms.Osita lheme cultivated Cucumber, potato, pepper in his farm. He is really a businessman. Osita Iheme is a Nigerian actor. He is widely known for playing the role of 'Pawpaw' in the film Aki na Ukwa alongside Chinedu Ikedieze . Osita Iheme (popularly known as Paw-Paw) has often been described as one of the best actors of his generation. He is the founder of Inspired Movement Africa which he founded to inspire, motivate and stimulate the minds of young Nigerians and Africans. In less than a decade he has gone on to become one of the most in-demand actors in Nollywood. That's true Eboigbe, employment is created from this commendable initiative.